How do you type special characters on windows? Generally most of us copy special characters from website on the internet and paste them in a text editor on windows. But what if you don’t have access to a internet connection? How will you use special characters? For those who are already aware, Windows provides you a specific set of key combinations for typing in special characters, However it not an easy task to remember the key combination for hundreds of special characters unless you have noted down these key combinations somewhere. Fortunately there’s an easier way to use special characters on windows and its as simple as copy and pasting from websites on the internet. This is where the Character map feature in Windows will come to your help. This really useful and time saving feature is often overlooked by most windows users. For those who want to use special characters without wasting much time on pressing key combinations, here’s how you can access the character map on windows. 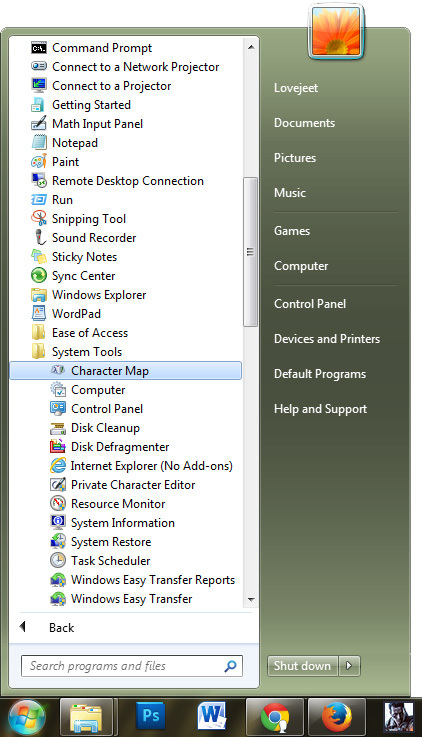 Here are the two methods by which you can access the character map on windows. Once you have opened the character map, chose from the font which you were typing in and double click on the special character you want to use. 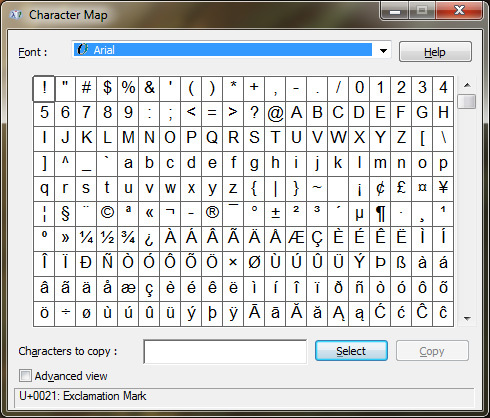 Next you can copy the special character from the character map and paste it in any text editor. 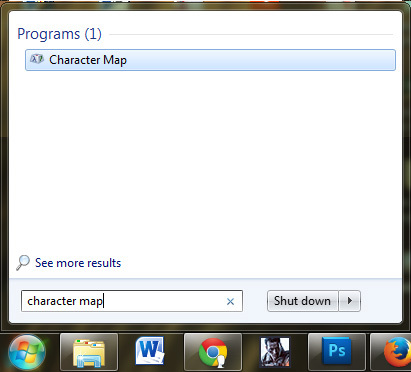 Method 1: Click on the start button on windows and type in Character map in the search box. Next click on the character map tool that appears in the search results and then you can copy any special character and paste it in a text editor.